The fall makes me want to cook. Wait…scratch that. It makes me want to eat and think about cooking. I get so snacky this time of year. But I’m in a strict ‘cook your own food and make mine too’ kind of place right now. Well, I don’t say it so mean, but you get my drift. I don’t know why but chocolate and sweets and all things that fit in the Thanksgiving Dinner category hound me day and night to be tasted. I’m even known to strike a deal with hubby if he’ll get me yummy fall snacks. Do you ever get the munchies around this time of year? I don’t know what it is that causes it but it can be a bit dangerous for the waistline for me. So I fight the urges. Some. Okay, not as much as I should. 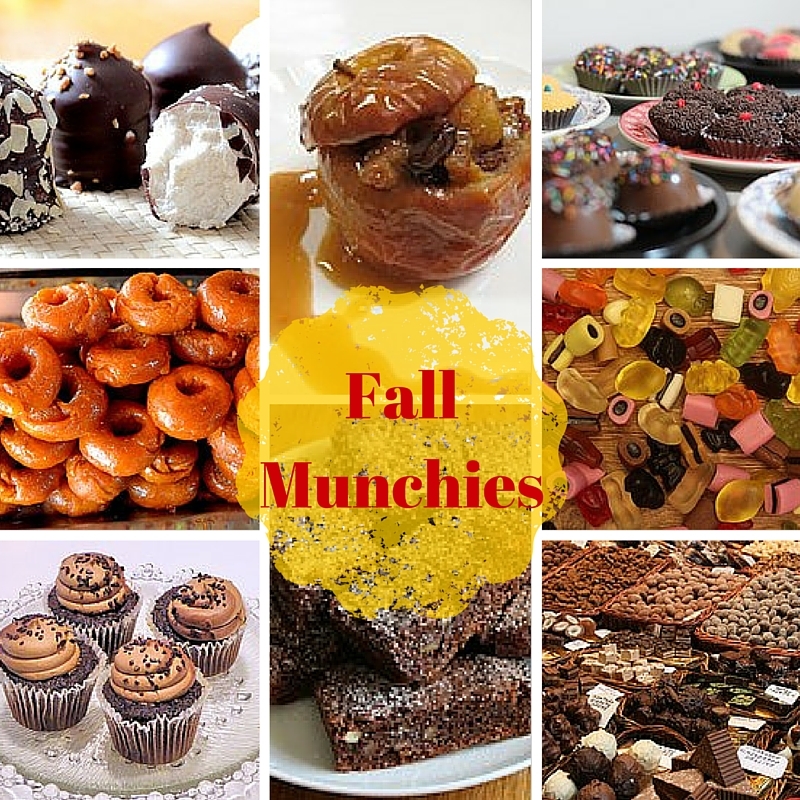 What are your favorite snacks and meals in the fall? Awesome! Sounds like a great fall dessert.